Approximately 6-8 million animals are handled by animal shelters in the U.S. each year. Even though some are reclaimed or adopted, nearly four million unwanted dogs and cats are left with nowhere to go. Animal shelters cannot humanely house and support all these animals until their natural deaths. They would be forced to live in cramped cages or kennels for years, lonely and stressed, and other animals would have to be turned away because there would be no room for them. Trying to build enough animal shelters to keep up with the endless stream of homeless animals is like putting a bandage on a gunshot wound. Turning unwanted animals loose to roam the streets is not a humane option, either. If they don’t starve, freeze, get hit by a car, or die of disease, they may be tormented and possibly killed by cruel juveniles or picked up by dealers who sell animals to laboratories. Euthanasia literally means “good death,” and true euthanasia – delivered by an intravenous injection of sodium pentobarbital – is painless, quick, and dignified. 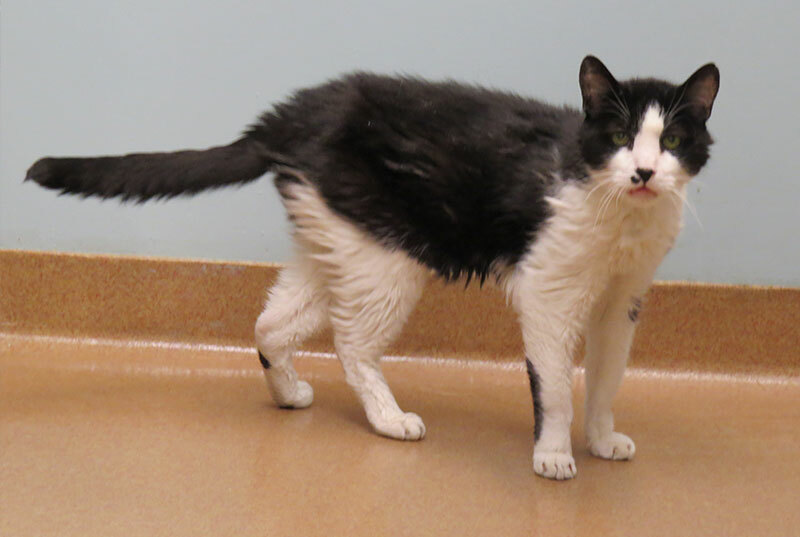 Because of the high number of unwanted companion animals and the lack of good homes, sometimes the most humane thing that a shelter worker can do is give an animal a peaceful release from a world in which dogs and cats are often considered “surplus.” The American Veterinary Medical Association and the Humane Society of the United States agree that an intravenous injection of sodium pentobarbital administered by a trained professional is the kindest, most compassionate method of euthanizing animals. Unfortunately, some animals will be killed by municipal officials using unacceptable and cruel methods, such as gunshot. Bullets are often not placed precisely in the struggling animal’s head or are deflected, and some animals survive the first shot only to be shot again and again. Many animal shelters still use outdated gas chambers to kill animals who aren’t adopted or reclaimed. Even the “best” gas boxes can expose conscious animals to the horror of watching other animals in the box suffer from convulsions and muscular spasms as they slowly die. 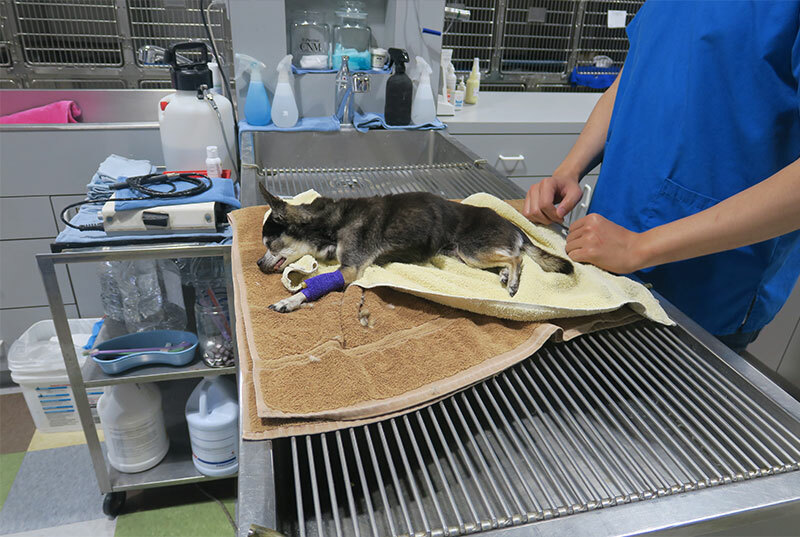 Old, young, and sick animals are particularly susceptible to gas-related trauma and will die slow and highly stressful deaths. And as hard as it is to believe, there are still facilities in the U.S. that kill animals using painful electrocution or cruel decompression chambers, which make the gases in animals’ sinuses, middle ears, and intestines expand quickly, causing considerable discomfort or severe pain. Some animals survive the first go-around in decompression chambers and are recompressed because of malfunctioning equipment or an operator’s mistake or because they get trapped in air pockets. They are then put through the painful procedure all over again. For more information, click here. The only way to stop the suffering of the innocent victims of companion animal overpopulation is to prevent their births through sterilization efforts. Every last cone of the millions of animal deaths at animal shelters and in the streets, alleyways, fields, basements, and back yards that occur every year could be prevented through spaying and neutering. Please do not allow your companion animal to be needlessly euthanized during times of crises. Take the appropriate steps now to ensure that he or she is well taken care of even after your divorce or death.